It’s finally fall, aka Shoulder season, and it is a lovely time to visit our little mountain town. As we wind down from a hectic summer the green hillsides become bright with the changing fall foliage, there are plenty of activities to fill your days! The weather in Northern Utah is dynamic so be prepared for a little of everything. Packing warm layers, good water proof footwear and your bathing suit will ensure you’ll be ready for whatever Mother Nature throws at you. Each day in the fall season is different, one day we may have rain or snow and the next day sunshine. 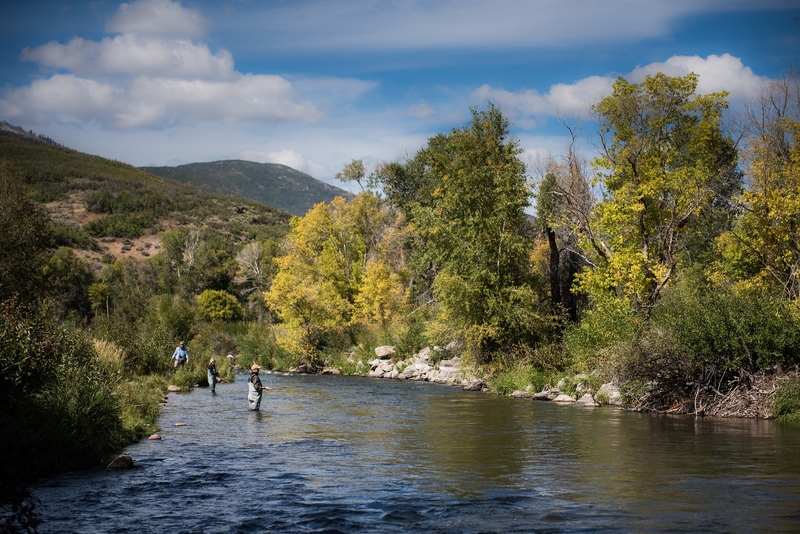 Mountain biking, hiking, fly fishing and trapshooting will be available dependent on daily weather conditions. 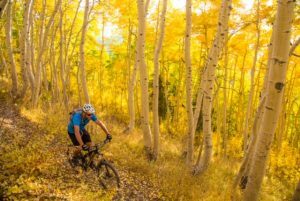 Mountain biki ng is amazing when we have dry trails, as the temperatures are perfect in the afternoon for a guided ride on Park City’s 450 miles of single track. Just another reason to make Park City a shoulder season destination is that we have the International Mountain Biking Association’s only gold rated trail system in the world. Our experienced guides will have you cruising along on the Historic Rail Trail for a family friendly ride or if you’re more experienced maybe a flowy single track ride? We have something for every type of rider. 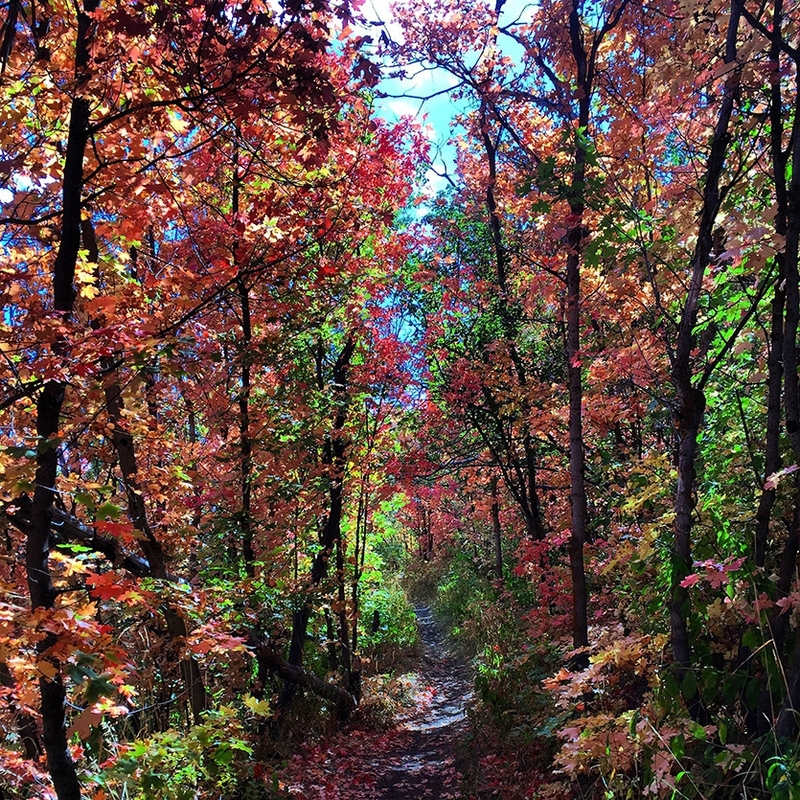 Hiking trails are abundant and views are sure to please. 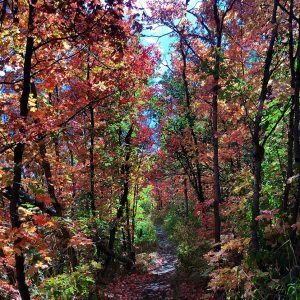 For those who like a local’s perspective let one of All Seasons Adventures guides take you hiking in the Wasatch Mountains. These 2-3 hour guided hikes trek through maple and aspen groves of brilliant red and golden yellow, treat you to expansive vistas and there are always plenty mining relicts to spark your curiosity. Ok and if it’s just too cold head on down to the Homestead Hot spring in charming Midway Utah or your lodge’s hot tub and enjoy the cool wet weather for a muscle relaxing soak. If hiking is a must the Swaner Ecocenter has gravel and wooden boardwalks to get you into an amazing protected wetland open space.